(1983) The time was 1928. The place was Cross Creek, a remote, unremarkable hamlet in a wild, untamed portion of Central Florida. After 10 years as a frustrated newspaper reporter and unsuccessful author of fiction, Majorie Kinnan Rawlings, a city-born-and-bred Northerner, turned her back on financial security when she took up residence in the unknown and wholly-alien culture of the Florida Cracker. She was ill-equipped for the extreme sub-tropical climate and completely unprepared for her less-than-hospitable, highly-independent backwoods neighbors. But she was tenacious and spirited and ready to accept the great sacrifices it would take to succeed. And when her literary awakening finally arrived, it was with such honesty and conviction that Majorie Kinnan Rawlings produced a distinguished body of critically-acclaimed, bestselling novels, novellas and short stories that included the Pulitzer Prize-winning classic The Yearling and, of course, her autobiographical memoirs, Cross Creek.
" 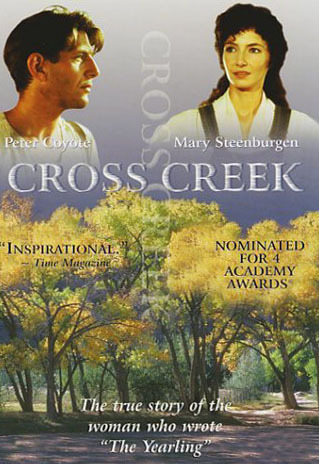 Cross Creek's rural charm lies in unforgettable characters - delicate watercolor portraits in gray and earthy pastels as eerily memorable as the Spanish moss that drapes the ever-present cypress trees...Great cast and great acting." 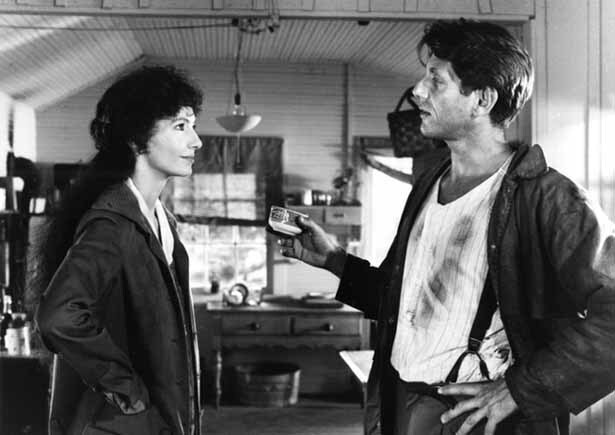 "Director Martin Ritt has obviously made a conscious effort to depict the artist as an observer, a chronicler of the events around here, a device that normally does not function very effectively on film, where visual action is necessary. 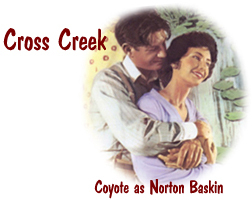 In Cross Creek, however, the motif is surprisingly successful, largely because the people around Rawlings are fully realized characters in their own right... Peter Coyote, for example, does a fine job with the role of Norton Baskin." "The film is lovely to look at, shot with high reverence for the beauty of backwoods Central Florida, and the sets and costumes are perfectly rustic." 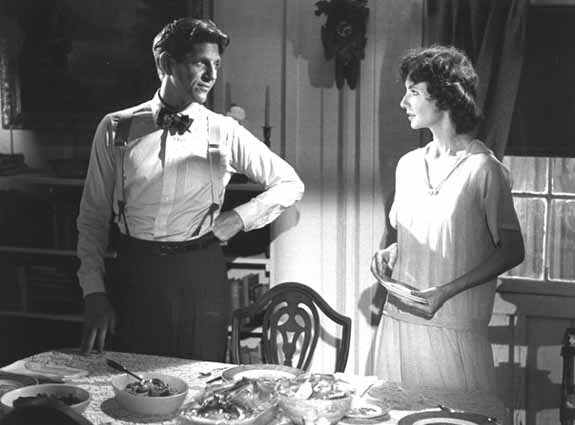 "Alfre Woodard affectingly grows in depth and dignity as Rawlings' devoted serving girl and Peter Coyote is an asset as the suitor who patiently waits Rawlings out." 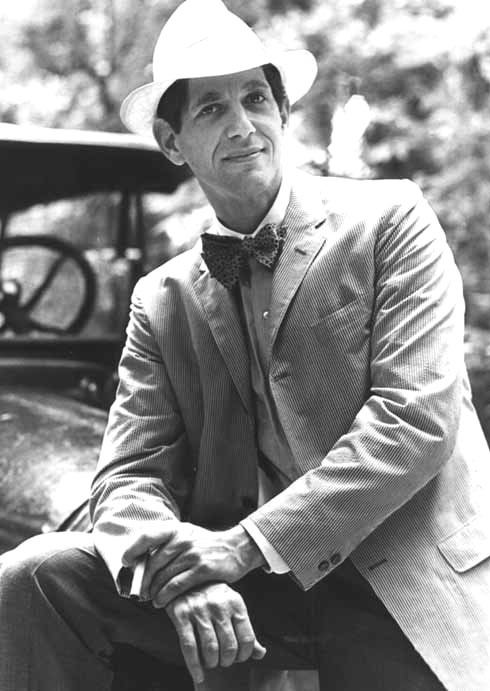 "...Peter Coyote as Norton Baskin, smooth as Southern Comfort and just pouring on the charm." 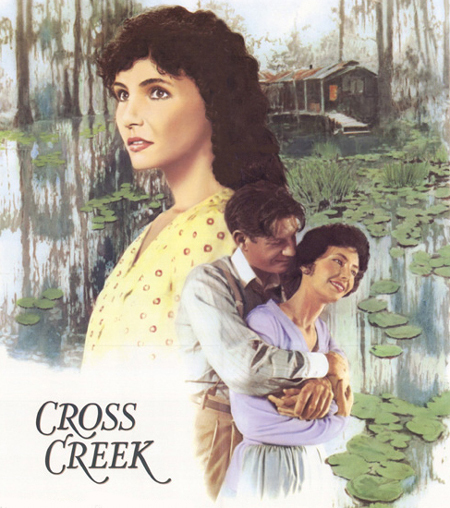 "The cracker world of central Florida - swampy, verdant, remote - is captured in a loving, sanitized sort of way in Martin Ritt's rural drama, Cross Creek. It's a family movie in the best sense: one that everyone can enjoy." 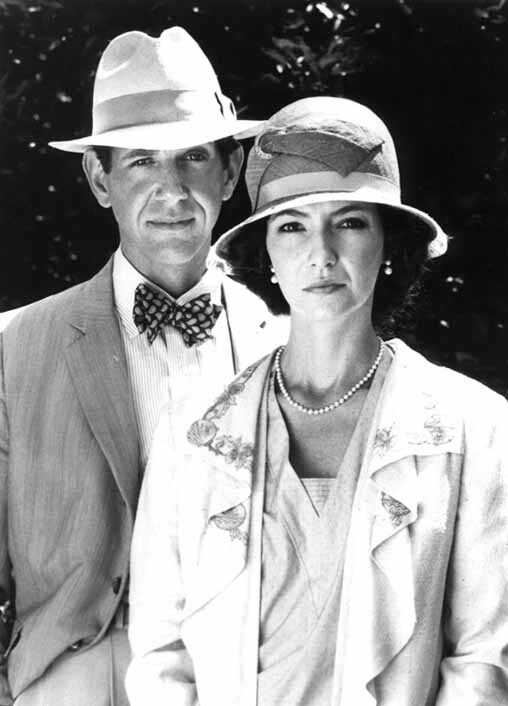 "Peter Coyote has a Jiminy Cricket charm as Norton Baskin." "Coyote's softness as a Southern gentleman contrasts well with Torn's characteristically athletic turn as a true swamp denizen. Torn's antics are especially affecting in tandem with Hill's sorrowful whining." "Wonderful performances and regional flavor." "I fell in love with Marjorie Kinnan Rawlings' need to express herself. I love even more that she did it. That's why I'm doing this film. I want to let the world know that this was an extraordinary lady who did it at a time when women were not functioning on that level." Click here for the film's production notes. It's available on video and DVD. 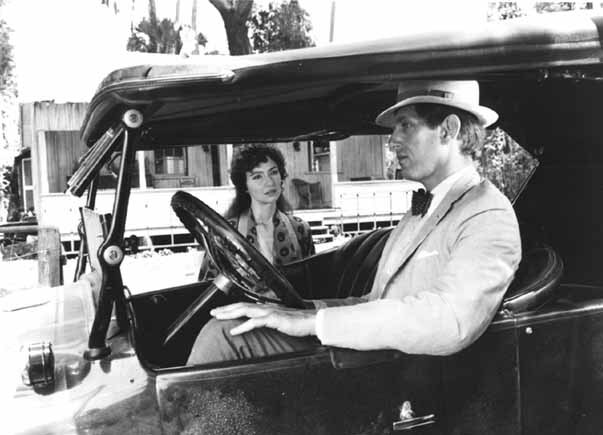 The screenplay was initially turned down by every studio in town but its producer, Robert B. Radnitz, who has made a career out of films about young, independent people, thought that there was something worth telling on-screen in Rawlings' memoirs. Famous New York editor Max Perkins in the film was played by Steenburgen's real-life spouse, British actor Malcolm McDowell. Dana Hill died in 1996 at only 32 years old from diabetes and ultimately, a fatal stroke. 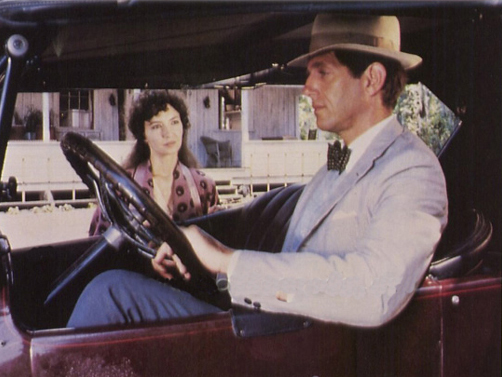 The film version of The Yearling was released in 1946 starring Gregory Peck and Jane Wyman. The real Norton Baskin has a cameo appearance giving directions to Rawlings. The film competed at the 1983 Cannes Film Festival.